“The selection process is literally the hardest thing you will ever go through, but it needs to be, in order to prepare you for the real thing. It can be brutal, cruel even – it really can – but that’s how you get the right candidates.” Only an elite few qualify for Special Forces. 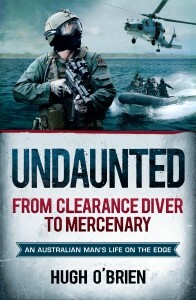 What took a directionless youth from country boy to navy clearance diver dismantling bombs underwater to the Special Forces counterterrorism unit TAG (East)? No picnic…..